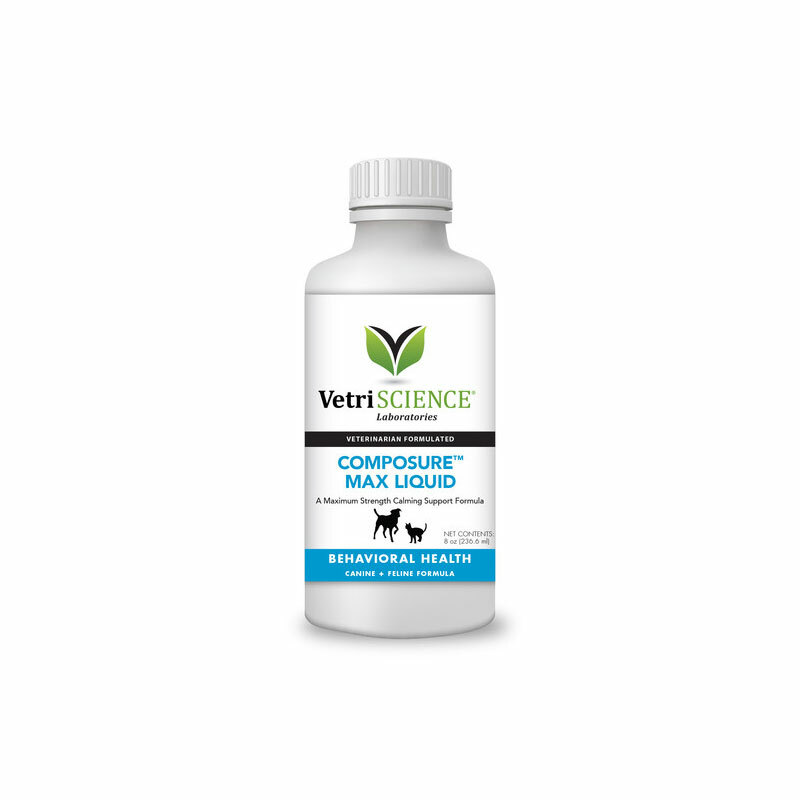 You are buying VetriScience Composure Max Liquid For Cats & Dogs 8oz, model #0900860008At ADW Diabetes, we offer a wide range of pet dietary supplements geared towards helping your pet achieve optimum health. We offer these supplements in both single and discounted bulk packs with the goal of helping you save even more. Shop with ADW Diabetes for all of your pet health supplement needs. The VetriScience Composure Max Liquid For Cats & Dogs 8oz is recommended for pets exposed to increased environmental stressors, such as traveling, boarding, thunderstorms, trips to the vet, grooming, and other stressful situations. This formula contains three main ingredients that work together to support calming and relaxation without affecting the pet’s energy levels or personality.The C3 colostrum calming complex supports stress reduction and cognitive function; L-Theanine helps the body produce other amino acids to bring certain neurotransmitters back into balance; and B vitamins (thiamine) affect the central nervous system to help calm anxious animals. Ingredients: cornstarch, glycerin, guar gum, lecithin (from soy), maltodextrin, non-fat milk solids, silicon dioxide, sorbic acid, sucrose, vegetable oil, water.